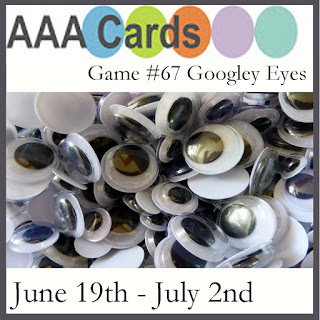 just a quick card today for the AAA Card Challenge: Googley Eyes. 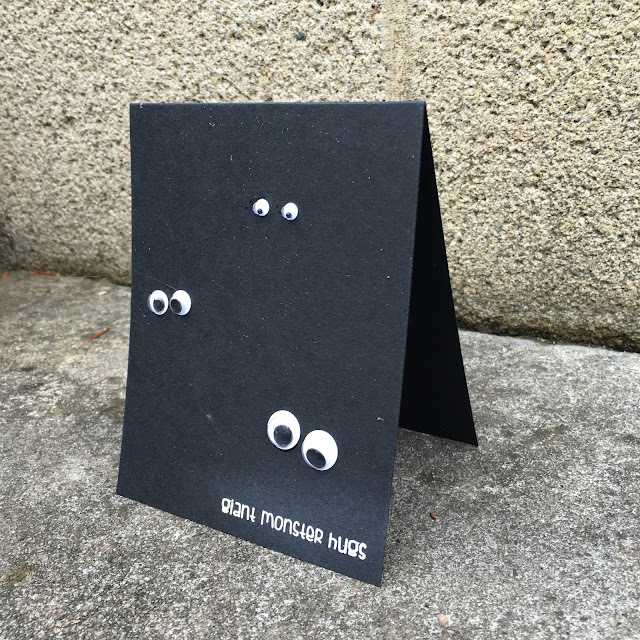 This is super simple - google eyes on black cardstock and an embossed sentiment. Hope you will join us this week at AAA Cards! My apologies for the brief post, my sister is here visiting and I'm enjoying the time with her! Super fun & clever! Enjoy your sister time! CAS fabulous Justine and a fun take with the googlies! Oh my goodness, this is fabulous! Enjoy your visit with your sister! Done with your usual style Justine, simple and a bit different. Love your outside the box googley eye creation, Justine. Monster eyes in the dark. Fantastic. Fun card. Very creative use of Googley eyes. In all cases, different challenges motivate us for something. For example, I wrote my academic essay using https://midnightpapers.com/blog/academic-paper-writing very fast because of the challenge.